Join Lora Bay resident Kathi Alexander on Saturday, January 5th from 2pm to 4:30pm at the L.E. Shore Library for the opening reception of “three views”. 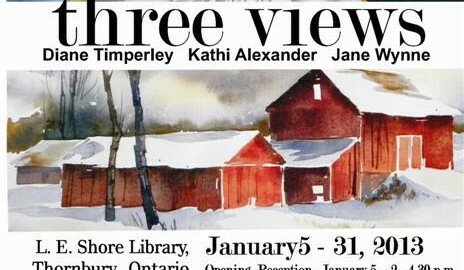 Kathi’s watercolours will be showing at the library for the month of January.